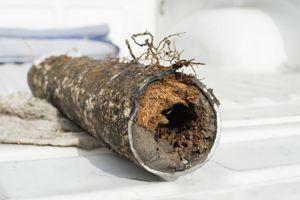 A damaged mainline could spell disaster if not diagnosed and fixed right away. Depending on where the clog or damage is located, raw sewage and greywater back up into sinks, tubs, and toilets, or leach out into yards. Either way, this kind of plumbing issue can escalate quickly, causing damage beyond what our licensed plumbers can help with. John’s Plumbing & Pumps has over 60 years of experience fixing and replacing sewer lines in Sumner, Washington. We are Pierce County locals and understand the needs of homes and businesses in the area. When Sumner residents choose us, they not only gain from establishing a partnership with a reliable plumber, they invest in the lifetime value of their home. Whether you’re purchasing, selling, or maintaining a property in Sumner, if it has a plumbing system maintained by John’s, locals know it’s been painstakingly cared for. Responsible home and business owners choose us because we don’t cut corners. We consider areas of your plumbing system that other companies don’t. And our work is guaranteed. What Causes a Sewer Line to Clog or Break? Paying attention to the early signs of a sewer line backup can save property owners from facing expensive replacement costs that spill over into things like landscaping work and building restoration. Your home’s plumbing system is interconnected, so any issue located in the main, or primary, sewer line is going to cause problems for all of the secondary (or ‘inside the house’) lines. If the issue is isolated to one area of the building, there’s a chance it’s a much simpler, and accessible, fix. If you’re not sure, give us a call. We’re happy to help you with a rudimentary diagnosis over the phone, offer an estimate, and give you a rough idea of the scope of work needed. For a more precise diagnosis, we can schedule a visit to inspect the main line. Our inspection does not typically involve excavation or digging in the yard. We use video technology to thoroughly inspect the lines through what’s called the ‘clean out,’ allowing us to release the pressure in the line and efficiently identify what’s causing the backup. A sewer line cleanout is a simple and inexpensive procedure, so if we suspect that this will fix the issue, we will always default to the most cost-effective solution first. If the clean out does not solve the issue, a camera line inspection will help us pinpoint exactly where the issue is without having to break ground. If pipes need repair or replacement, we are able to minimize and isolate the area to avoid disruption to your yard. Only Dedicated, Licensed Plumbers can Fix Sewer Pipes. Call John’s Plumbing & Pumps for the Best Local Sewer Line Service.